We have finally reached the one month mark until we are gathering in Tampa, Florida to bask in the musical glory that is Sunset Music Festival. This rapidly growing EDM festival is set to take place on Memorial Day Weekend of May 27-28th which will be held at Raymond-James Stadium. Get your discounted tickets now by clicking here. 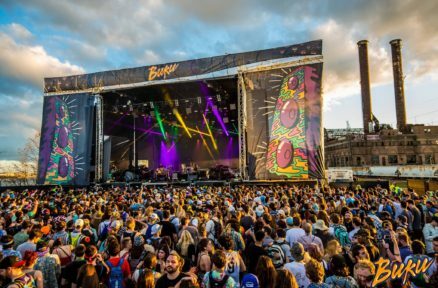 Disco Donnie Presents and Sunset Events, the two promoter masterminds behind this festival have once again delivered a jam-packed lineup of artists that created quite a buzz around social media upon its release. We will take an in-depth look at this lineup leading up to the festival to give you some insight, and perhaps shed some light on a few artists that you might be interested in seeing perform live at SMF this year. To start things off with dissecting this lineup, we will begin with the Brazilian house juggernaut: Alok. Alok, aka Alok Achkar Peres Petrillo, is a house music producer hailing from the beautiful Brazilian Highlands who is no stranger to the dance music world. Growing up in a family of musicians, Alok began his journey as an artist at a young age. His path was paved with an absolute love for music and creating the art with his brother and parents, which Alok’s craft has certainly reflected. Though he has become a prominent name in the Brazilian dance music scene, you might have started seeing his name with the recent release of his massive tune, “Hear Me Now,” off of Spinnin’ Records. The track gained tons of support from huge names in the industry and even received a great remix made by EDX and Nora En Pure. It has currently racked up 3 million plays on SoundCloud, and it has made it to the 20th spot on the Billboard dance music charts. Alok’s sound can be described as that signature mid-tempo deep house that producers in Brazil have made famous over the years. It has that groovy NuDisco feel combined with the undertones of deep house that is simply irresistible. Those deep basslines and catchy rhythms of his sets and productions are sure to have the entire crowd moving down in Tampa next month at SMF. This style of house music has been slowly creeping into the dance music scenes in the United States, and we could not be more supportive. Check out a recent mix below to get a taste of what to expect to hear from Alok, and be sure to show him your support if you are planning to attend SMF.